Lake Garda is ideal for a family holiday, we have large family room from 25mq to 55mq. 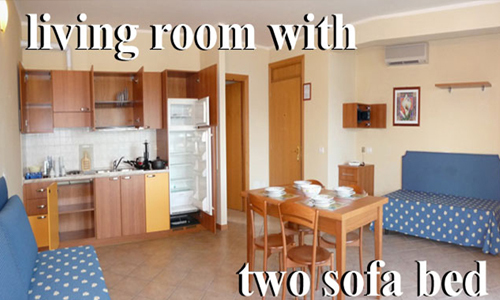 The parents can sleep in a double room, while the children have a large room right next door. 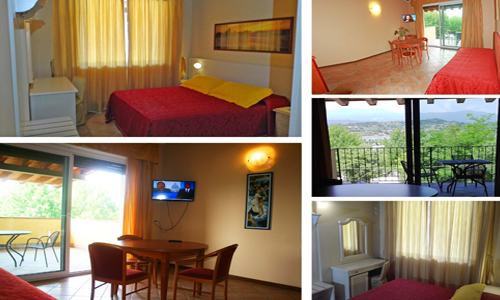 The family rooms are on three floors, some with garden and some overlooking Lake Garda. The Hotel Residence Miralago in a Hotel on Garda Lake. "Residence & Hotel Miralago is Located on a quiet location with panoramic views in Manerba del Garda. Only 100 meters from the Garda lake, our structure offers the ideal feeling for a relaxing holiday. From the hotel, you can walk to the beautiful historic center of Manerba and to the Natural Park called "Rocca di Manerba". Be enchanted by one of the most beautiful viewpoints on Lake Garda. Our knowledgeable hotel staff will ensure that they provide you with a thoughtful, warm service, be it the Reception where we answer all your questions, in the restaurants or behind the scenes, to make your visit a memorable experience. A beautiful hotel in Manerba on Lake Garda, with bar, extended common terraces, WiFi, swimming pool, solarium at the garden, play garden, table tennis, beautiful private garden, a conference room. Open a private garage with electric gate remote control. It is possible to contact our reception to organize wedding celebrations, wine tasting, sightseeing by bike or in the park, tours to Verona, Venice, Mantua, Gardaland Gardaland and Movieland.